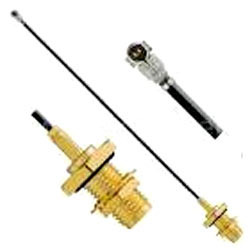 We put forth a comprehensive range of RF Cable Connector Assembly that is designed as per latest industry standards. 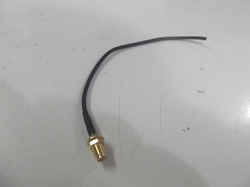 This range includes cable assembly and wire to board connectors assembly in standard as well as customized makes. We engineer this range using premium grade raw material as per the specifications detailed by the client. includes 7/16(L29), N, L9, SMA, SMB, BNC, C2, TNC, SMZ, MCX Type Series cable assembly and MMCX Cable assembly. We are backed with rich industry experience in delivering an excellent range of SMA Female B/H to UFL Cable. This range is designed using finest grade raw material as per latest industry standards. Our clients can have it in customized as well as standards models. It is acclaimed for its durable make and excellent performance our clients can avail this range at very reasonable rates. Leveraging on our robust manufacturing abilities, we are able to deliver an exceptionally performing range of RF Cable with SMA Connector and Open Cable. This range is widely demanded across several industry verticals for being quality compliant and durable in make. It is offered in standard as well as customized specifications. SMA female B/H connector has a RG 174 cable or comes with RG 178 with 20 cm. It is manufactured using heat shrink PVC. 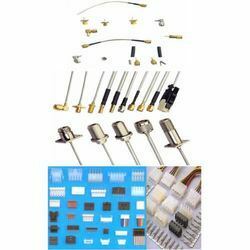 Looking for RF Cable Assembly ?